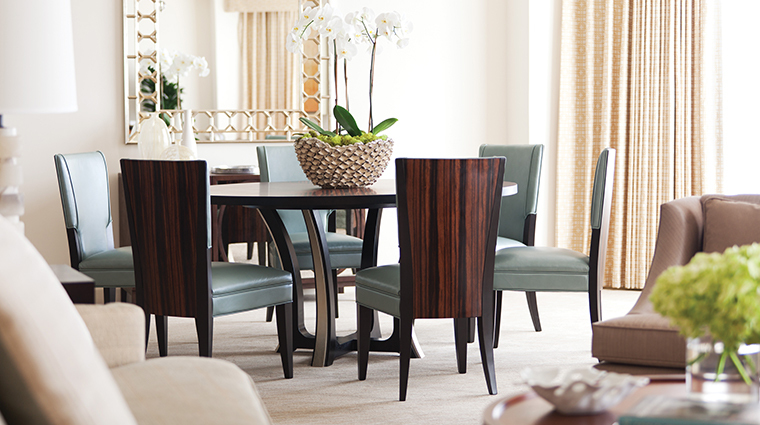 In the heart of the downtown neighborhood, near the Bayou City’s business district, sits Four Seasons Hotel Houston. The rustic brown brick building soars above the street with its 30 storys, overlooking the bustling oil-centric city. 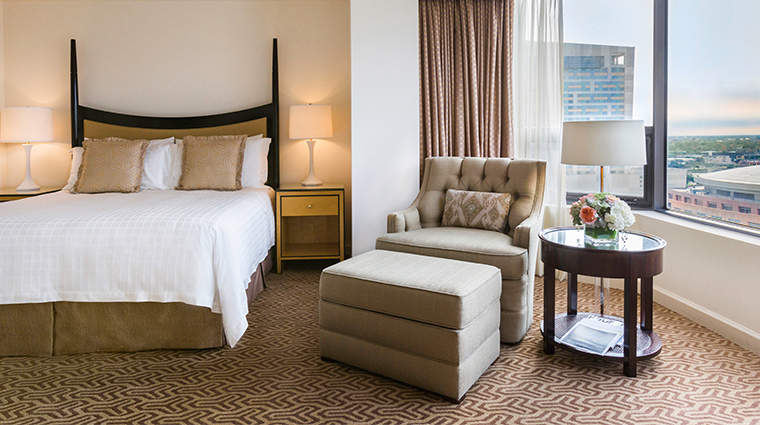 At 1300 Lamar St., this Four-Star hotel is near the home of the Houston Astros and Minute Maid Park. 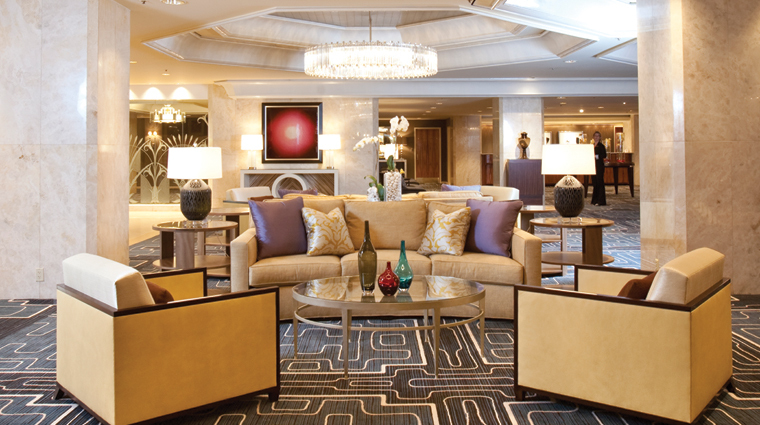 Though the exterior isn’t stylish, the Southern charm and elegance of the staff overwhelms you with hospitality — so much so that you’ll completely forget about the dated exterior. The old school décor in the Forbes Travel Guide Four-Star hotel's lobby and the grand staircase that looks as if it leads all the way to the sky have the elegance of a 1980s mansion. The outdoor pool, fitness center and spa give the hotel the feel of a resort placed in the middle of the city. Guests can sample tequila, wine and tapas in the Lobby Lounge or enjoy a feast for the senses at Four-Star Italian restaurant Quattro. 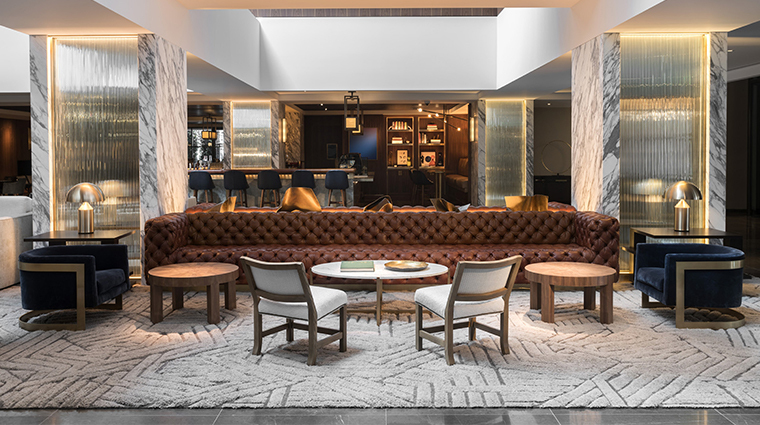 The chic downtown hotel is home to the first ever Topgolf Swing Suite, an immersive golf simulation experience topped off with exceptional food and beverage service from the Bayou & Bottle lounge—perfect for intimate gatherings. 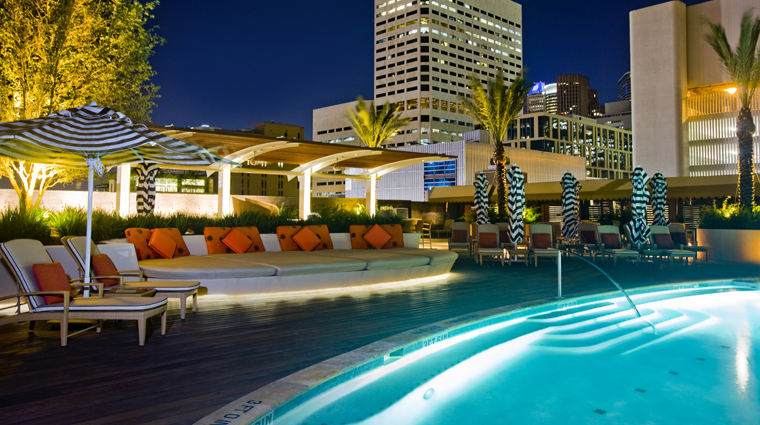 The Four Seasons Hotel is centrally located in the heart of downtown Houston, just steps away from cultural attractions, entertainment and sporting venues, restaurants and shopping. 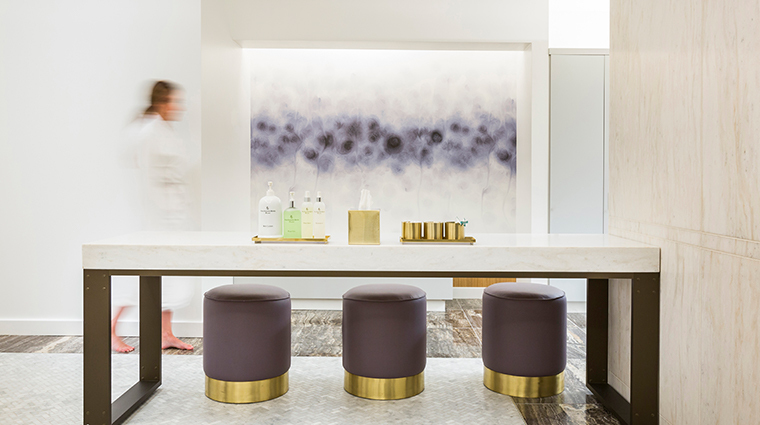 Following a multi-million dollar renovation, the all-new Spa & Fitness Center at Four Seasons Hotel Houston features steam rooms, a nail salon, multiple treatment rooms, a relaxation area, and a couples’ suite. The Turkish travertine tile, wood trellises and oversized umbrellas make the outdoor pool an urban oasis in the hot Texas sun. Just keep in mind that what is a lively business district during the day pretty much shuts down in the evening, so if you are looking for a hotel surrounded by a busy nightlife, this isn’t it. Meet at the Bourbon Lockers in Bayou & Bottle every Saturday at 5:00 pm for a complimentary bourbon tasting. With some of the rooms opening up to the pool deck, the outdoor area becomes sort of a hangout, whether it’s a sweltering hot day or a cool evening with a brisk breeze. 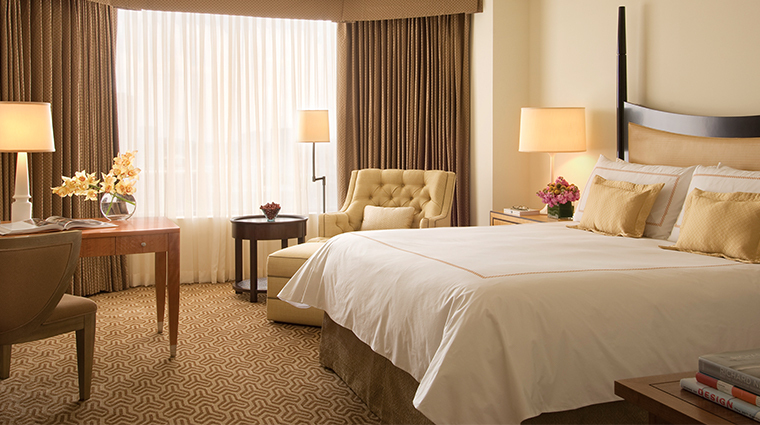 Just 30 minutes from the two Houston airports, Bush Intercontinental and Houston Hobby, Four Seasons Houston is easily accessible. 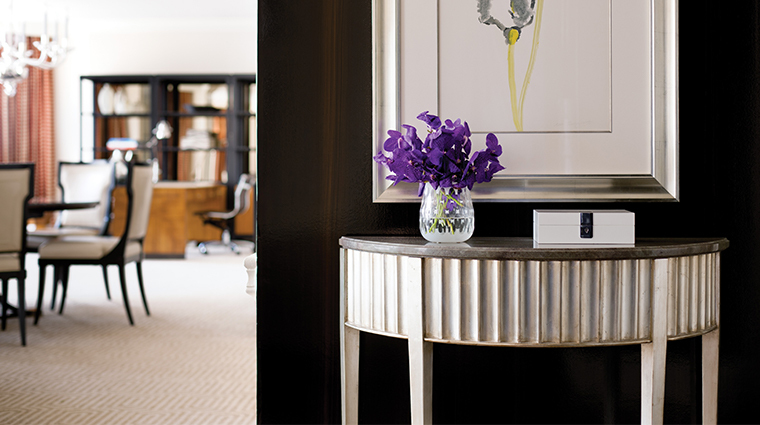 The Houston hotel’s 2,500-square-foot gym is open 24 hours a day, with certified trainers available upon request. If you forgot your workout gear, don’t worry. The gym provides complimentary fitness attire and even sneakers. 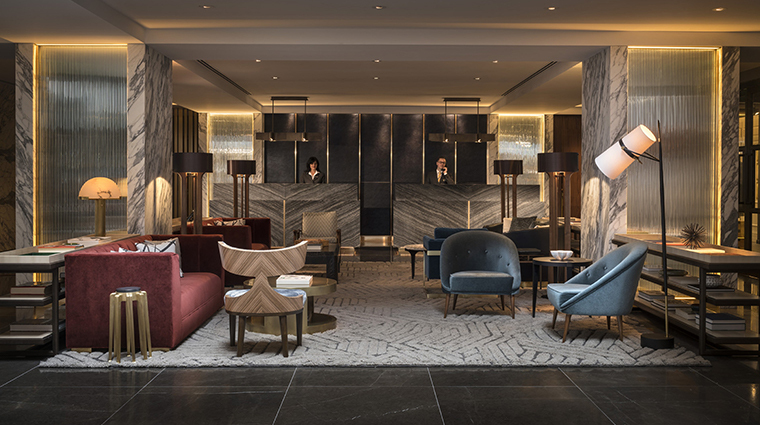 Scattered throughout the 20 floors of the 30-story Four Seasons Hotel Houston are 404 newly renovated guest rooms and suites (the top 10 floors are residences). 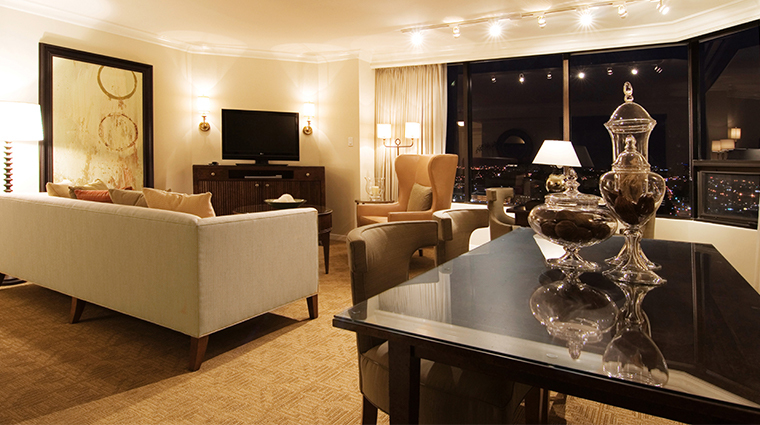 Of those, you’ll find 103 luxury suites plus 12 specialty suites with lavish touches. 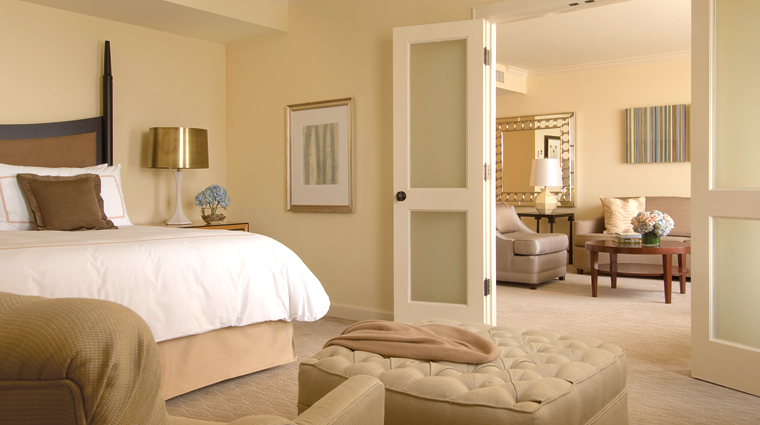 Outfitted with the signature Four Seasons bed, you’ll sleep like a baby once you slip between the silky linens and underneath that goose down duvet. 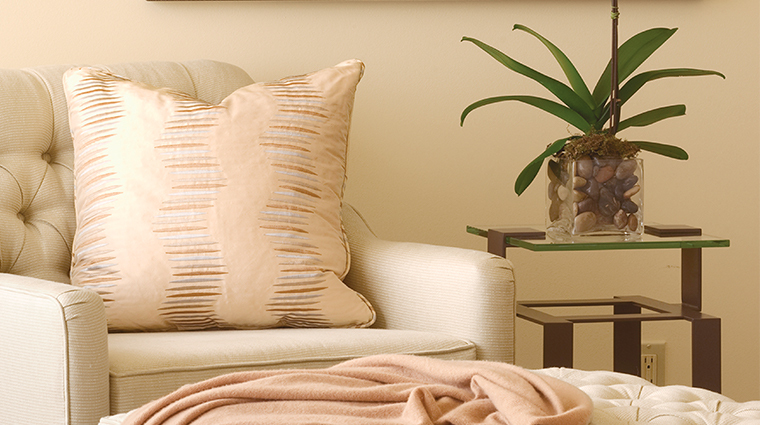 Bathed in a mix of urban and classic décor, the guestrooms are drenched in an elegantly soft palette of earthy tones. With large bay windows (some with sliding glass doors), your room will showcase a view of either the pool or the skyline of the Bayou City. 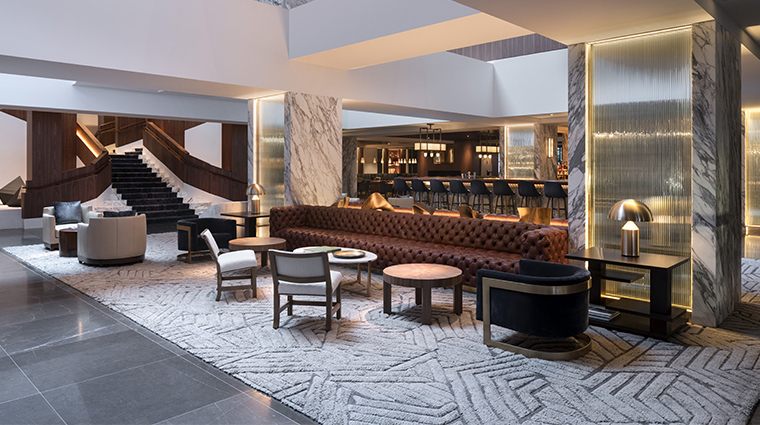 The trendy Houston hotel is home to Four-Star Italian restaurant Quattro, serving up breakfast, lunch, dinner and a lively antipasto bar daily, as well as a luxurious Sunday buffet brunch. Vinoteca is the ultimate place to begin your night out on the town, offering one of the city’s best happy hours with premium spirits and a wide array of gourmet antipasto and small plates. Happy hour menu highlights at Vinoteca include Akaushi Beef Sliders, Black Truffle Mac & Cheese and Fish Tacos and delicious flatbreads. Conceptualized by world-renowned celebrity chef and restaurateur Richard Sandoval, Bayou & Bottle brings a lively bar destination to downtown Houston, serving over 150 varieties of bourbons and whiskeys along with flavorful cuisine inspired by Houston's melting pot of cultures. 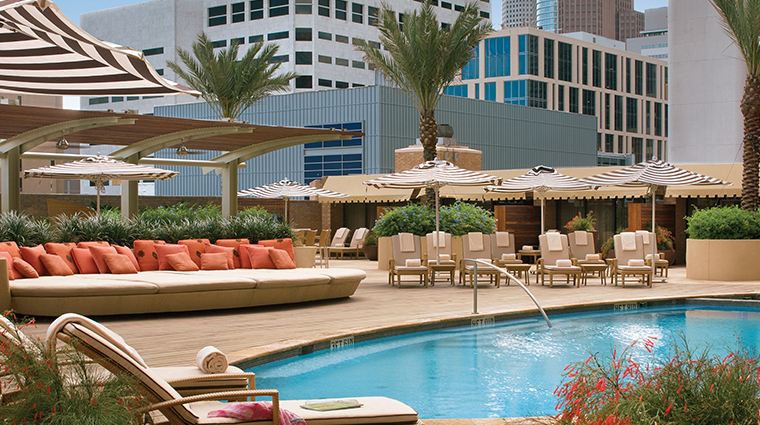 The Pool Deck Cafe offers more health-driven options including sandwiches and salads while sipping fruit smoothies, frozen margaritas, Moscow Mules and refreshing craft cocktails.